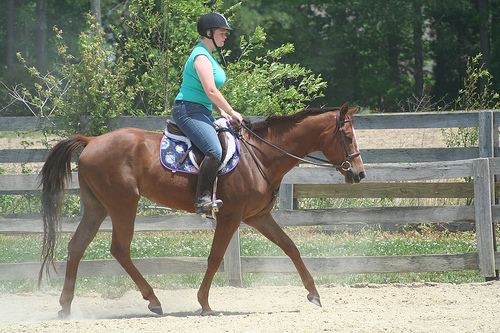 After I graduated from college, I was riding at a nice barn with a great trainer. Most of the clients did A shows, and the ones who didn’t did C shows. Basically, not a whole lot were in the schooling show circuit I had been doing for years… and I wanted to move up. Super, super, super skinny. Ugh. My trainer being the awesome person that she is, decided it was best to feed him (shocker!) and re-break him like he had never been ridden. She is excellent with babies, and Beckett was a good horse. She had sat on him several times before we decided it was time for me to get on, and we’re not talking for a crazy ride here. Just being led around on my baby horse, because he was a baby. I think it was the 2nd time (1st or 2nd) that I sat on him when we decided to get brave. He was being so good, that she walked him and I over a pole. She had the leadrope, and I was just sitting there excited to be on my new horse. However, when he walked over the pole he clipped his hind hoof on the rail on the ground and just totally flipped out bucking. I think he snatched the lead rope from Jen’s hands or at the very least got to the end of it, but I stayed on for about 2-3 big bucks before I was toast and fell. I’ve fallen a lot in my life. Off of stoppers, green horses, good horses. You ride, you fall… it happens. This really hurt. I couldn’t get up immediately, and I couldn’t get back on afterwards. I tweaked my hip so bad I stayed in bed all night and couldn’t walk normally for a week, and I cracked a few ribs. Should have gone to the doctor. Worst of all, I was absolutely terrified of my horse. 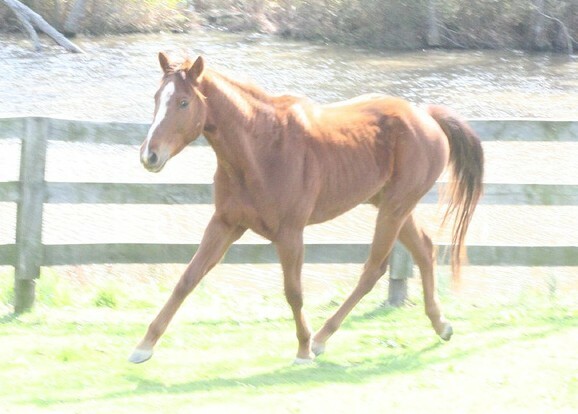 Beckett is a good boy, but he’s the kind of horse that can be “oh I”m fine! oh I’m fine! OH MY GOD WHAT THE HELL IS THAT?!? oh I’m fine!” and that mentality just threw me for a loop. I was used to warning, and he gave no warning. It wasn’t that he was a bad horse, or that my trainer was bad… but we just didn’t jive at all. I never did anything more than canter him once or twice around the ring or trot a pole – even though he went on to become a fancy hunter. You may ask why this was a ride that impacted my life? 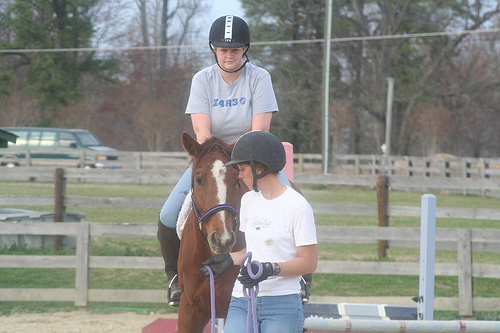 Mostly because it was the start of my huge fear/panic associated with riding and my confidence being ruined. 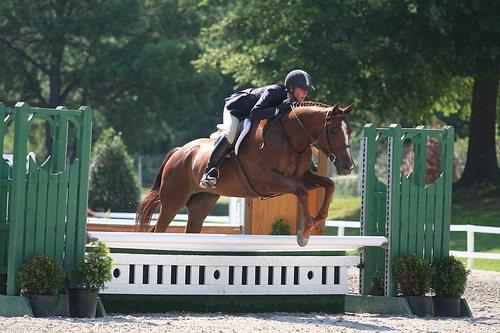 It wasn’t just this one fall (there were certainly other factors), but after I sold Beckett I took a break from riding for about a year and a half. 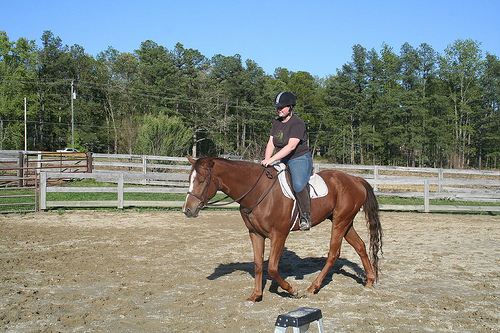 When I started back on a totally different horse, I felt almost incapacitated to even trot properly. I’d never been so fearful of something I loved in my entire life. All that changed when I met a Haflinger named Willy, but that’s a different story for a different day.